*DBH: Diameter at breast height is a standard measure for the diameter of the trunk of a tree (1.3 meters above ground). The Emerald Ash Borer treatment is an injection of TreeAzin, which is designed to fight pests. It was developed by the Canadian Forest Service (CFS), assisted by Bioforest Technologies Inc. TreeAzin is a biopesticide made with azadirachtin, molecule extracted from neem tree seeds. 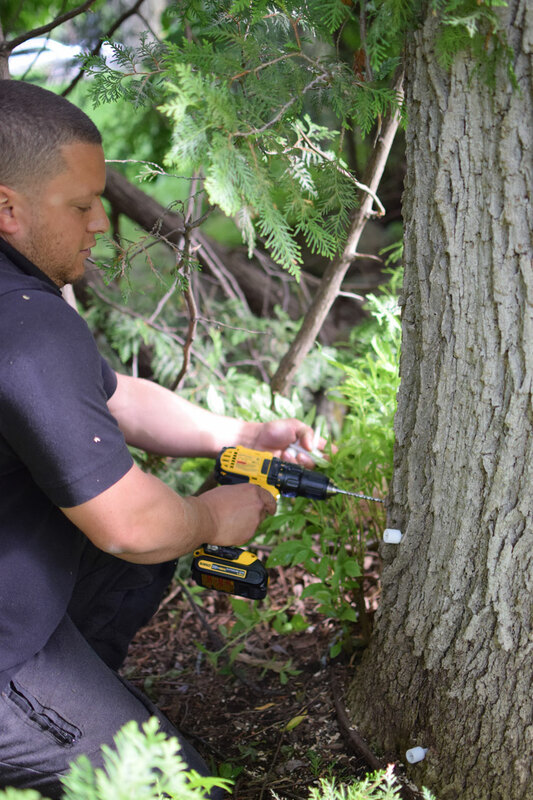 In Quebec, TreeAzin is approved to control various problematic and dangerous insects such as the emerald ash borer, the gypsy moth, the tent caterpillar, the spruce budworm, the jack pine budworm, the arborvitae leafminer, as well as the sawfly. An Emerald Ash Borer treatment applied between June 1st and August 31st allows the protection of your trees for two years. The product remarkably limits the development, spread, and reproduction of pests. Moreover, it greatly affects the eventual eggs of these problematic insects. The injection of TreeAzin is made using the EcoJectMD system. 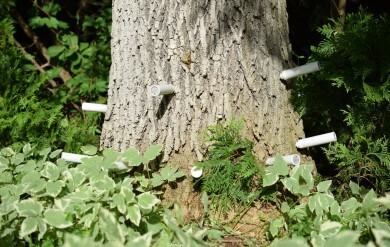 Canisters filled with the product are inserted at the base of the tree. The product is then in diffused in the whole tree using the sap as its vehicle. 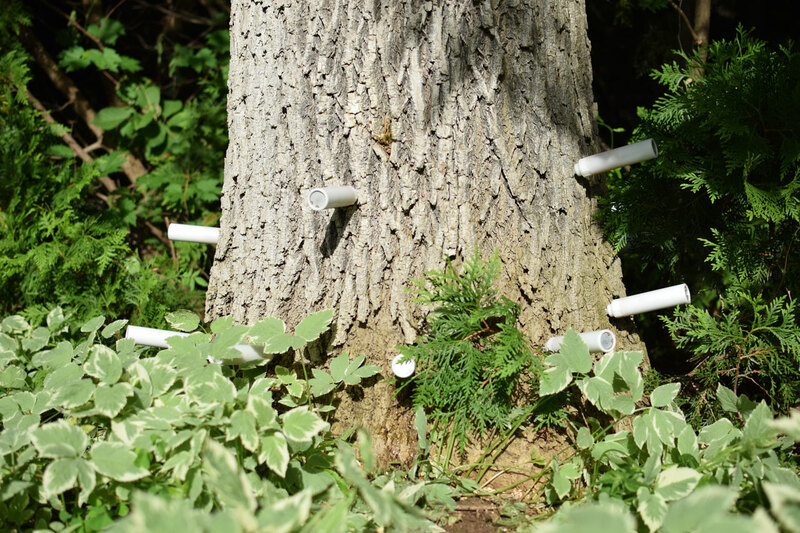 The number of canisters needed is dependent on the DBH of the tree. In order to be effective against the emerald ash borer, a dosage of 5ml per centimeter is guaranteed for all treatments. An evaluation of your trees is essential in order to determine the degree of an eventual infestation. Our arborists are qualified to treat your trees, or in the case of a major infestation, fell them safely.